A clogged drain is inconvenient, but neglecting the problem or masking it with store-bought products can lead to additional, more costly issues. Don’t let a lesser problem turn into a big deal, resolve your fully or partially blocked drains with Coastal Rooter. We identify the source of your problem and effective drain cleaning services to keep your pipes clean and efficient. Call today for professional drain cleaning services in Chula Vista, California. Preventative measures from cleaning your drains and pipes can save you a lot of time, stress, and money. Often times we forget about the parts of our home that run automatically, until there’s a sudden emergency. 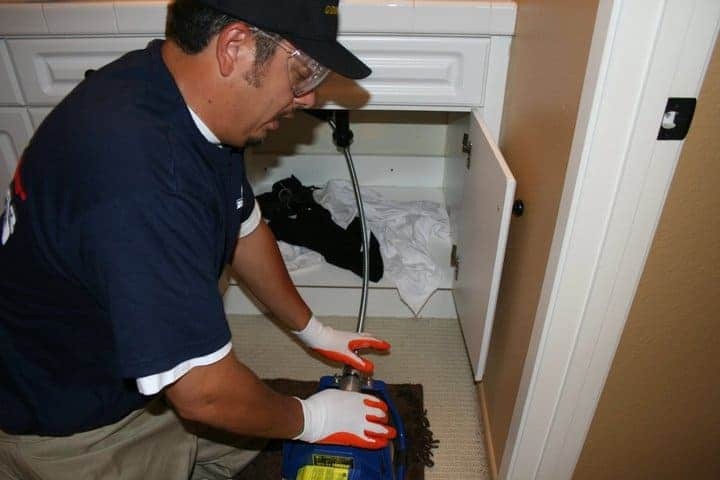 When you call us to do a routine drain cleaning you protect your home from clogs, leaks, and bursts that could cause a lot of damage to your property. At Coastal Rooter, we ensure that your drains and pipes are flowing smoothly every time we service them. Take action today about scheduling a routine maintenance check on your drains and plumbing system. One phone call can provide you with more peace of mind that your home will continue to run properly. Be confident that your plumbing systems are clear of potentially damaged pipe with a drain inspection by Coastal Rooter. We are currently offering a free camera inspection with any service, so when we’re on site unclogging one drain, have us inspect another one for free! Call today for more information about our cleaning services in Chula Vista, California and have an experienced plumber clean and repair your drains.